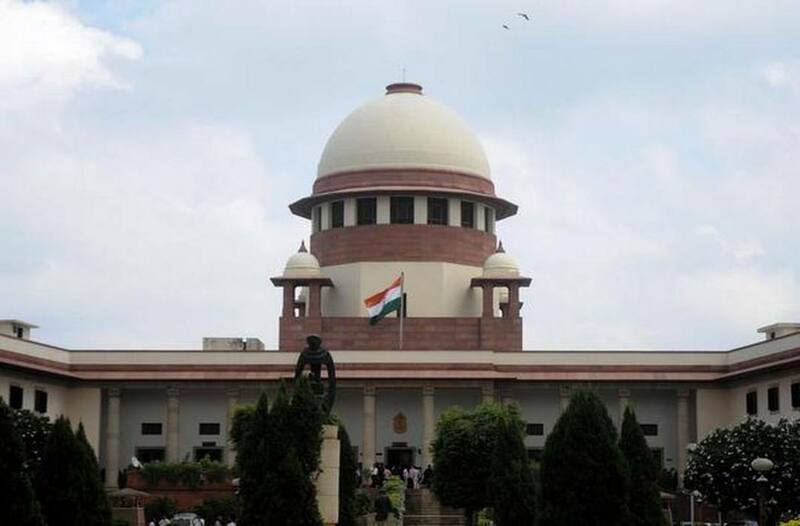 After a series of cases it came in for scathing criticism at the Supreme Court, the Narendra Modi government on Wednesday, August 8, told the top judicial body to restrain itself from making adverse remarks against governance while dealing with individual cases. The top court said it was at least solving problems, and was in no way “criticising the government”. It said that the judiciary would not need to intervene in PILs if the authorities discharged their duties in accordance with the law. It said it was enforcing the rights of citizens and warned the government against creating the impression that the courts were preventing it from working. Attorney-general K.K. Venugopal said the country had a wide range of problems and that the “Hon’ble court must desist from making adverse remarks against the governance in entirety”. He made the submission before a bench of Justices Madan B. Lokur, Deepak Gupta and Abdul Nazeer while appearing in a PIL on poor prison conditions. Venugopal also made references to newspaper headlines based on the observations made by the bench. Venugopal referred to Justice Lokur’s observation on Tuesday, while dealing with another PIL, that “women are being raped left, right and centre” and the government was not doing anything to check the rising crime. Venugopal said often, when the court passes an order on a PIL, there are adverse effects. Giving examples, Venugopal said that while the cancellation of the 2G licenses by the court virtually wiped out huge foreign investments, another order for removal of liquor vends on highways caused a financial loss and people lost their livelihood. “There is a question of budgetary allocations…Government’s 80-90 welfare programs are going on simultaneously…Court dealing with one issue and passes order but from where the funds would come,” Venugopal pleaded. “It is not that we have done nothing or we are doing nothing. Not everything is negative,” Venugopal said. “Judges may not know all aspects of every problem when they choose to make adverse comments against the government,” he added. Justice Lokur shot back saying it was because of the court’s order that the government has collected over Rs. 1,50,000 crore as environment funds for illegal mining. The court wanted to know why that amount has not been spent. Venugopal said these funds were collected for environment purposes. The bench retorted that in one of the matters related to construction workers, over Rs 30,000 crore meant for welfare of these workers were used to buy laptops and washing machines. “There is enough money. They (construction workers) do not have clothes to wear but washing machines were purchased. They are illiterates, but laptops were purchased,” it said. The AG told the bench that India has a population of around 1.3 billion which was increasing exponentially and there were several problems in the country. “Day in, day out, I read newspapers and your observations,” the AG told the bench. To this, Justice Lokur said, “Rest assured that Article 21 (protection of life and personal liberty) will remain here and we will uphold it”. The bench of Justice Lokur has been hearing pleas relating to social media monitoring, mob lynching, pollution, environment, garbage, overcrowding of prisons, conditions of women and children there, shelter homes for children, rehabilitation of widows, illegal mining and other matters. In many of these cases, it has passed strictures on the government. In the present instance, the court was hearing a PIL relating to inhuman condition prevailing in 1,382 prisons across the country which are overcrowded. Venugopal said that with 1.3 billion population which is increasing exponentially there were several problems faced by the country, and every order on PILs should have a separate note as to the effects of such orders on other sectors, effect on budgeting, rights of others who could be affected and every order has to be balanced and well thought of as India has “enormous problems”. The bench said, “Tell your law officers to argue on this line also. Tell your government to obey the law of the land”. The Attorney General said that he has conveyed his views to the court about dealing with the PILs and the court should consider his submissions without any offence. The court wanted setting up of a one member committee of a retired judge of the apex court to recommend measures on prison reform, including overcrowding, and women prisoners languishing in jails. It said the Committee would be assisted by two-three government officials that would file periodical reports to the apex court. Posting the matter for 17 August, the bench asked the Centre to file details of the proposed committee.